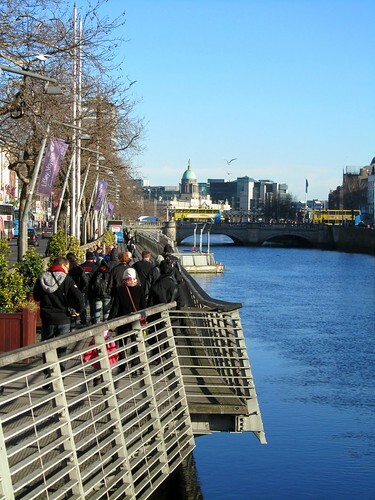 It may be wintry cold but when it is sunny and the sky is blue, walking about Dublin is always so pleasant. There are coffee kiosks peppered along the boardwalk for the good ol’ outdoor cuppa and in the summer months, a river boat tour along River Liffey is also possible. One of the best walking tours available in the city are those led by Pat Liddy, a charming historian who is an absolute fountain of knowledge when it comes to the stories about Dublin. Dublin City Council, together with Pat Liddy, also offers free walking tours under the Let’s Walk and Talk initiative for anyone who are interested in getting to know Dublin outside of the city centre areas. Also available are Sandemans’ free walking tours where participants are encouraged to tip their guides at the end of the tour. For visitors keen on self-guided tour, apart from using recommended itinerary suggested by guidebooks, check out the podcasts available via Guinness Storehouse website. There, you should be set now to know more about the city.